Work pot lucks always brings out the creativity in me. I know that there are show stopping items that are quick and always are a big hit -- like Katie’s Taco Dip (not me Katie, another Katie)...and I will be putting that on here some day. But this particular Sunday was the Superbowl and I wanted to do something that would support my team and Green and Gold Cupcakes were born. I am well aware that a green cupcake does not sound appetizing to many, but get past the color and you have a smooth, moist cupcake with a hint of chocolate and a splash of buttermilk that will make you forget that what your eating may not be in support of your team. Topped off with a gold cream cheese frosting and we have a winner folks...turns out literally a Superbowl Winner! This recipe is nothing more than red velvet cupcakes with the red food coloring out and the green food coloring in, so it is not new, but it’s fun. You can make the cupcakes any darker color you would want (green, blue, purple) and top them with any color for birthday parties or other sporting events. If I had more time, I may have experimented with fondant for little helmets at the top. But, alas, I will have to wait until I can dedicate a whole day to cake baking and decorating to really have fun with that one. Preheat oven to 350 degrees. Line cupcake pans with cupcake papers. 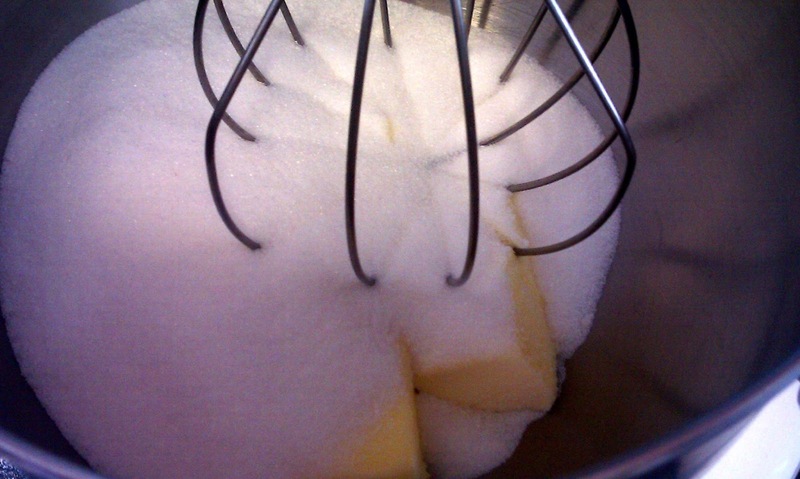 Cream butter and sugar together on medium speed with electric mixer until they are light and fluffy, approx 5 minutes. Add eggs, one at a time, beating well after every egg. Add vanilla and cocoa, mix until incorporated. Add your food coloring until desired color. 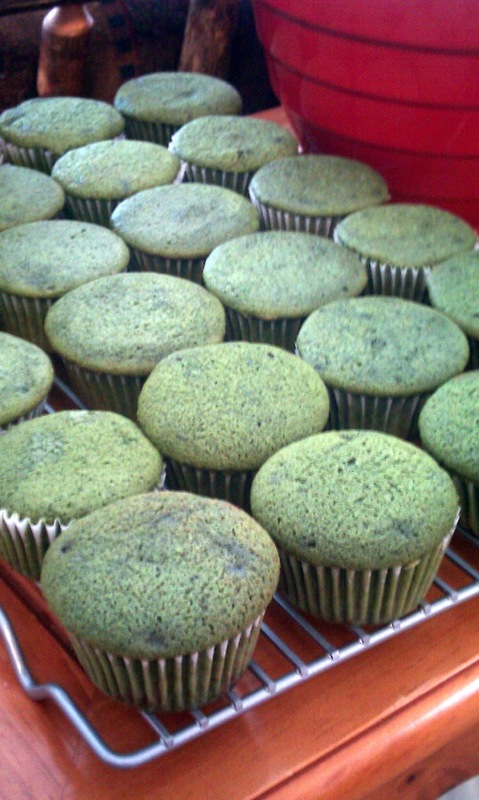 Note: Once baked, the color will generally darken. Sift cake flour and baking soda. In a measuring cup, stir the buttermilk and salt together. Add the buttermilk mixture and the flour mixture into the colored batter in three parts, alternating between milk and flour. Mix until all ingredients are incorporated, but do not over beat. Fill cupcake tins approximately half to two-thirds full and bake until tester (toothpick) comes out clean. Depending on your oven, about 20 minutes. Half way through, rotate your pans for even cooking. Cool in pan for 10 minutes and put the cupcakes on a cooling rack. Let them completely cool before frosting. Whip cream cheese and vanilla together until light and creamy. Add powdered sugar a half cup at a time until desired flavor achieved. Slowly add food coloring until it has reached your desired hue. On cooled cupcakes, apply frosting with a knife, pastry bag or frosting applicator tip. Food coloring tip: Suggested to me was to use Wilton food coloring, specifically the gel. 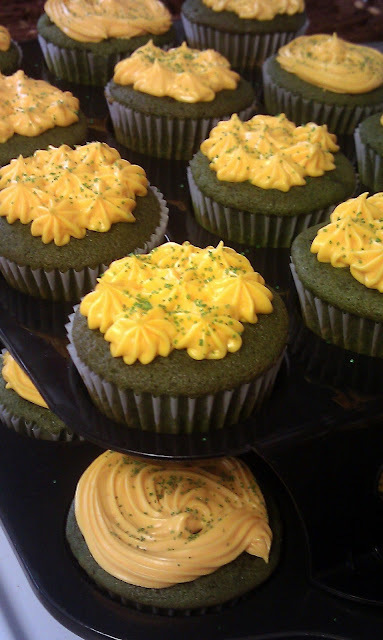 It is highly concentrated, inexpensive and created great color in these cupcakes.